Bus Service: I am told that Bodiam will not have a Summer Sunday 349 bus service but ESCC will continue to fund the bank holiday service run by Stagecoach. Butchers closed: a number of people from Bodiam did go to Woods the Butchers at Hawkhurst. This has now closed. The shop opened in 1932, with at least 4 generations of Woods family. Yet one more part of village life lost which we will not see again. Funeral: I had a phone call from Jill Ashby the other week to tell me that her daughter, who was 48, had died. Jill was the daughter of the late Joan Daws of Kitchenham Farm, Bodiam. The service takes place at St James’ Church, Ewhurst Green, on April 13, Jill has told me. 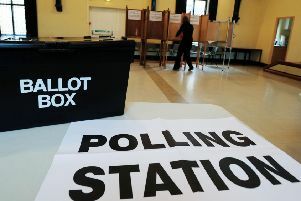 Election: If you did not get your poll card for the election of councillors to Rother District Council and for a member of parliament and the parish council election but you will only asked to vote if there are more candidates than the number of vacancies. The helpline number is 01424 787000. Friends AGM: The date of the Bodiam Community Friends AGM is April 15 at 6pm at The Castle Inn, Bodiam.